We are engaged in offering a comprehensive range of moulded skin Doors. Manufactured using high-grade raw material, our product range meets the industry standards. Our Doors are known for their excellent durability and low- maintenance. These doors are free from problems of corrosion, leakages & rotting. 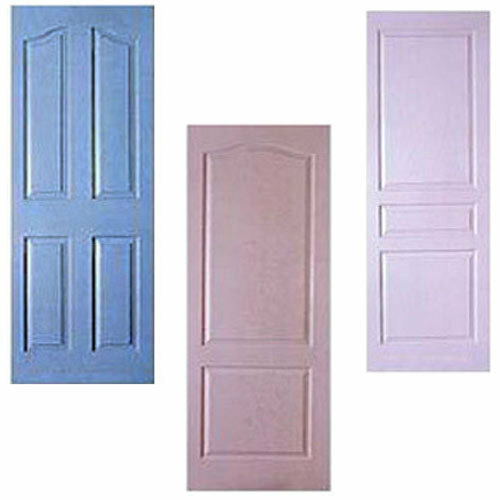 We are offering our range of Moulded Doors in different attractive designs, sizes and spectrum of colors. In addition, these doors can be availed in customized forms as required by clients. With a rich experience, we have established ourselves as one of the leading manufacturers and suppliers of an exceptional range of Wooden Articles. Our range comprises Wooden Doors, Wooden Boxes, Wooden Pallets, Wooden Crates, Wooden Packaging Boxes, Industrial Pallet, Euro Pallets, Four Way Pallets, Wooden Cases, Wooden Skids, Pinewood Box, Pinewood Pallet, Wooden Drum Pallets, Cargo Wooden Boxes and Wooden Decorative Items. The products are highly acknowledged by the customers for sturdiness, longer life and termite resistance. We offer our products in customized forms such as colors, designs and size in order to meet the diverse requirements of the clients. Our organization has a team of talented and qualified personnel, which is responsible for the manufacturing of these products. The professionals ensures that all the products are manufactured and designed in compliance with the global quality standards. There is a sophisticated infrastructure, which helps us in meeting the exact requirements of our clients. To take care of the quality factor, a dedicated team of quality analysts has also been appointed by us. Moreover, to facilitate hassle free monetary transaction, we accept payments through easy modes.